Honestly, I could not help myself. 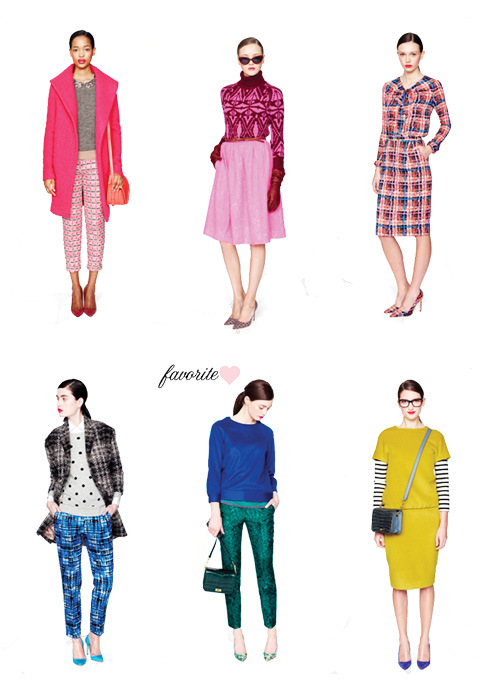 I'm pretty sure everyone knew this was coming because I am completely obsessed with jcrew. Look at all this bold colors and prints how could I not resist? I wish these styles were available right now since we are going through a little cold snap in Mississippi. I guess I will have to wait until next fall, but I know that little crocodile purse will be on my arm. I have also made it my goal to attend a fashion week event. Hopefully it will be next year, but I'll have to wait and see how things work out. Which piece will you be wearing come fall?